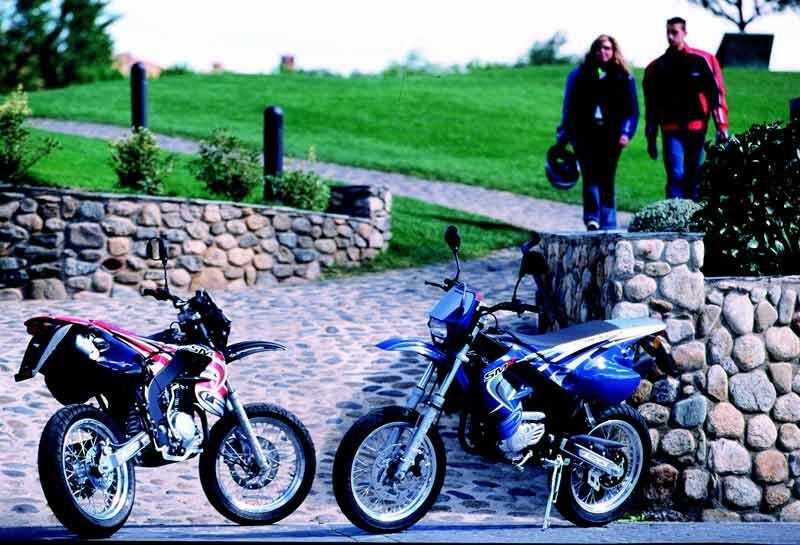 The Rieju SMX 125 and 50 models are Supermoto styled bikes aimed at novices, with the 125 featuring a 14bhp Yamaha engine, Paioli suspension and a tall seat height. 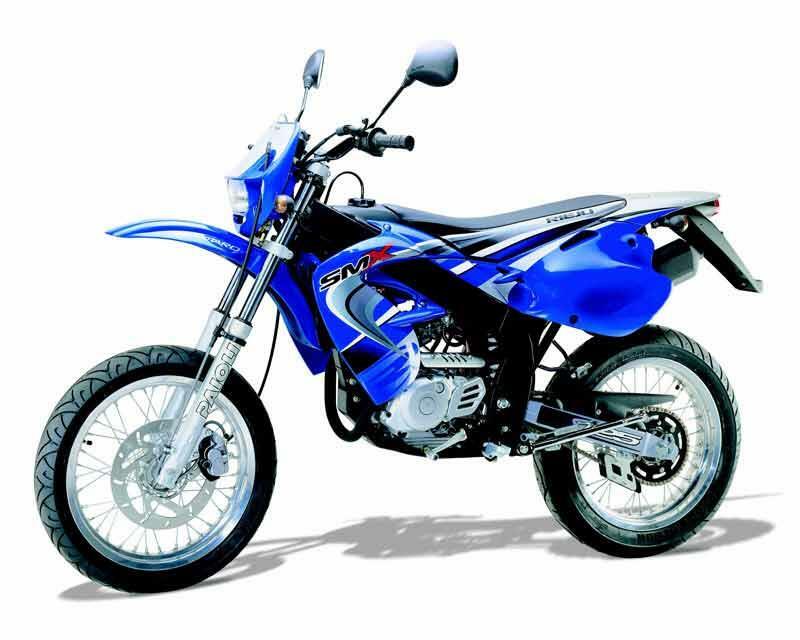 The 50cc SMX Pro version also has trick bits like Galfer wavy dics and a chromed exhaust system. Just that bit more stylish than the average learner bike. 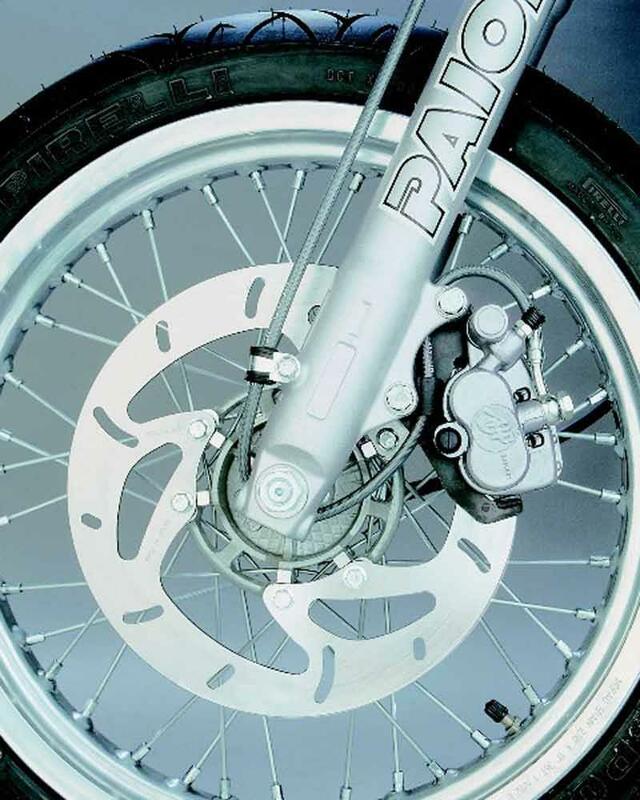 Classy Paioli suspension on the SMX models, although the SMX50 Pro has beefier forks than the 125cc model. It's worth noting that apart from the SMX50 Spike model, the rest of the range have a towering 900mm seat height, so if you're short in the leg you might struggle in stop-start traffic. 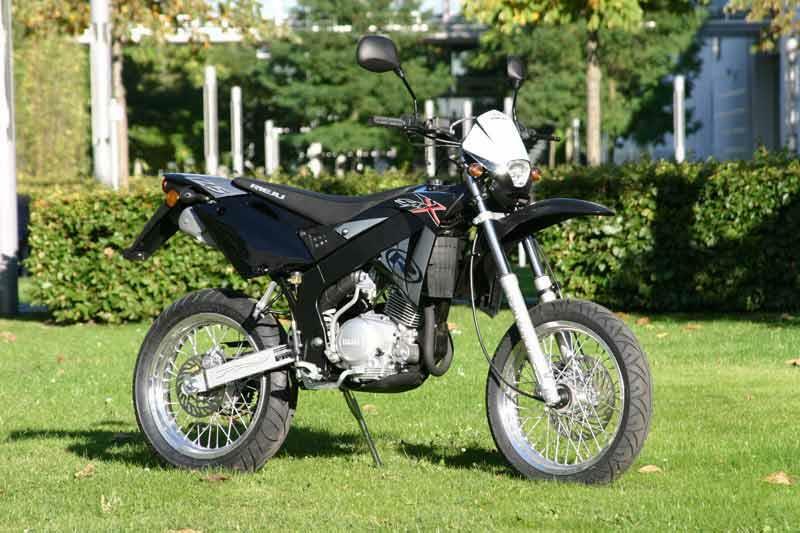 The Rieju SMX125 four stroke motor is - like many small four stroke singles - worthy but a bit dull. It gets there in the end and makes a healthy 14.5bhp ( claimed ) output, but few 17 year olds are going to feel really excited on full throttle. 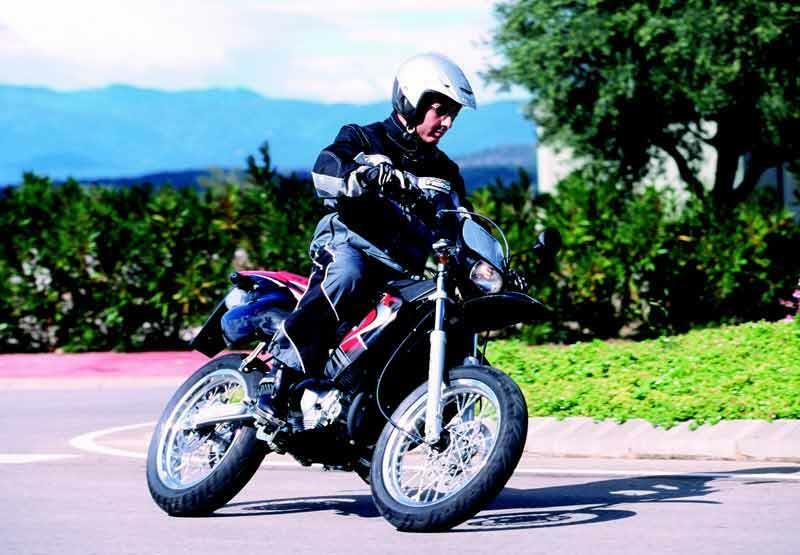 The 50cc version features a Minarelli which is fun, if derestricted, and features a 6 speed gearbox. The overall quality of the Rieju SMX range is very high. 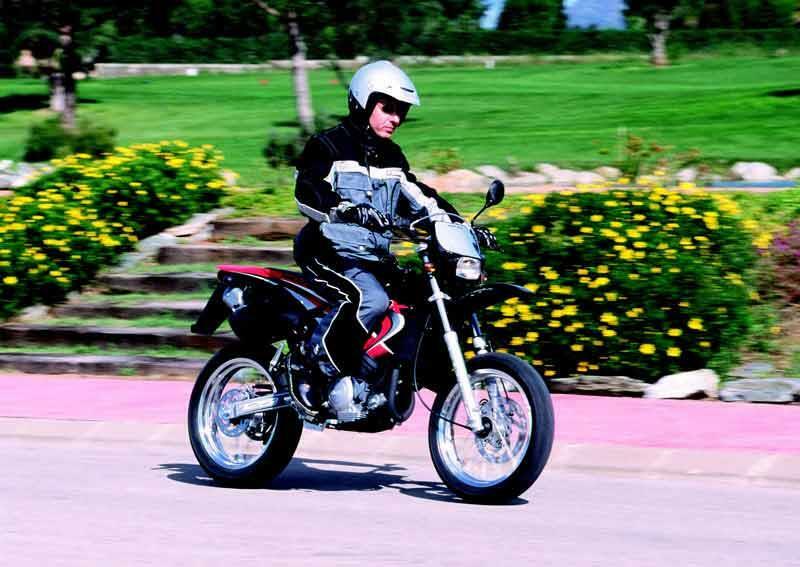 There are a few details like the 125's black painted downpipe, or the plank-like saddles on the SMX bikes, which let the side down a touch, but otherwise these Spanish machines look in a different class from the average internet sourced 50 -125cc Supermoto. Proper UK importer too, so spares should be available promptly. At just over two grand the Rieju SMX50 ain't cheap, and £2700 for the SMX50 Pro is simply way beyond the reach of most 16 year olds. 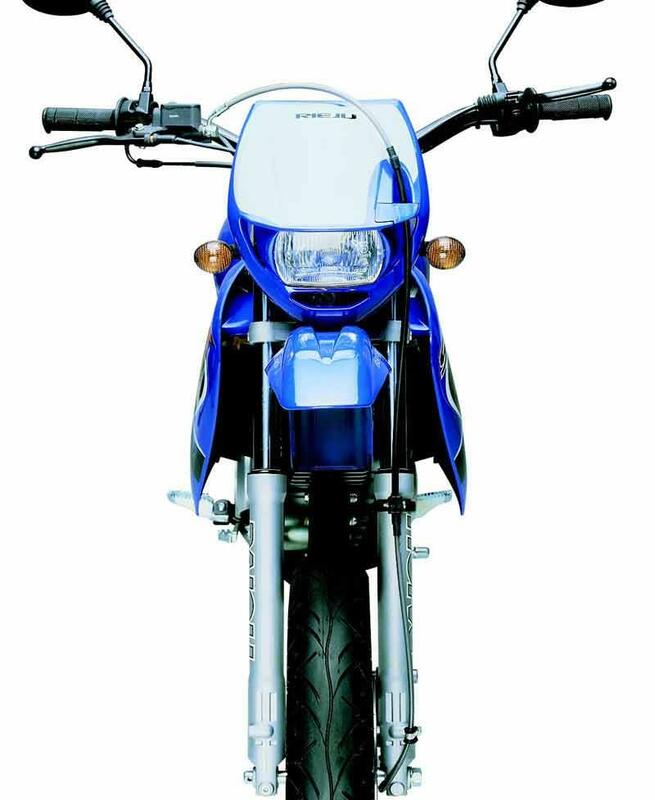 The SMX125 costs £2900, which is 200 quid more than a Yamaha XT125 and comes with half the warranty. Not good. Find a Rieju SMX125 for sale. The Rieju SMX50 Pro is equipped like a pukka Supermoto race bike, with wavy dics, 38mm forks and the version with the polished twin beam frame just looks stunning. In some ways it would be a crime to hand one over to a vandalising 16 year old and watch its slow destruction. 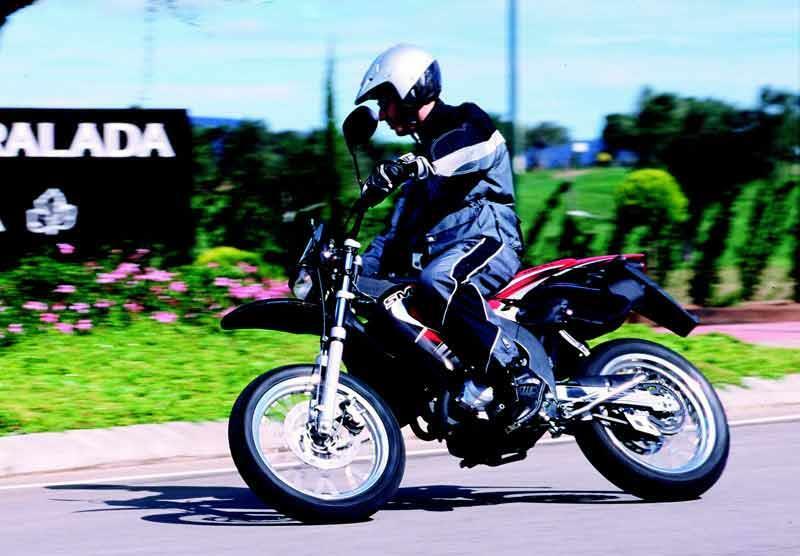 The SMX125 is a more basic motorbike and would make a decent commuter. 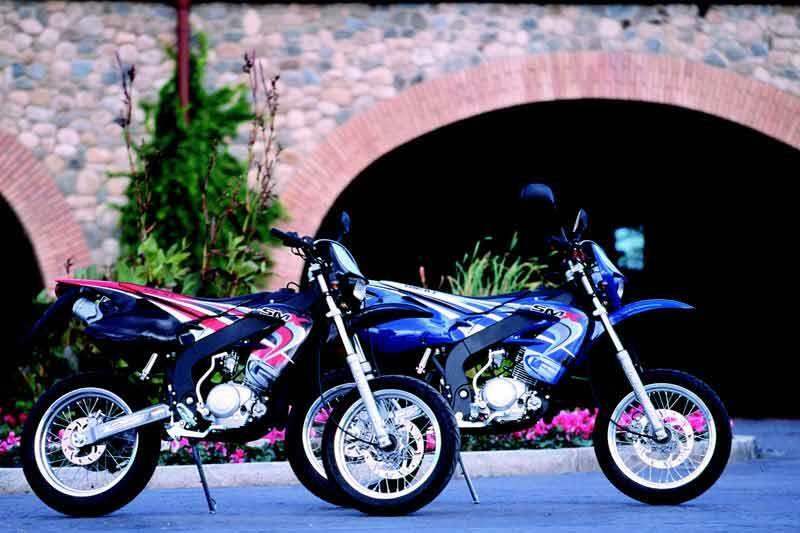 1997: Rieju SMX125 and SMX50 launched. 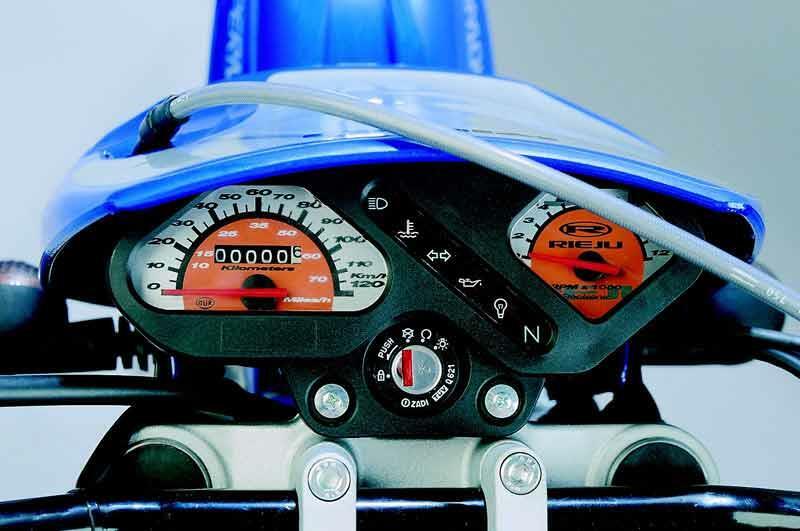 2004: New colours/graphics and SMX50 Pro launched. 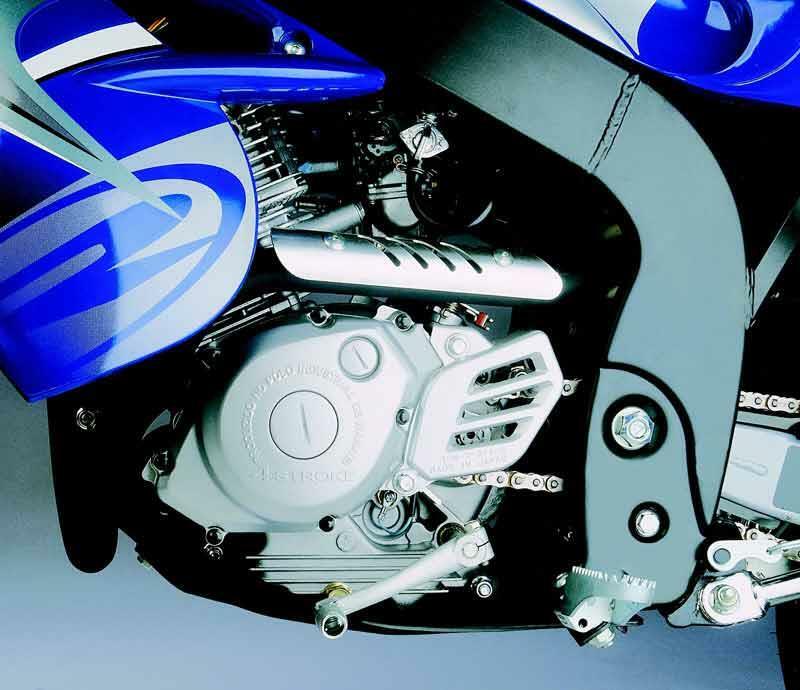 2006: Rieju SMX50 Pro withdrawn from UK market. Rieju SMX50; SMX50 Spike; SMX50 Pro. 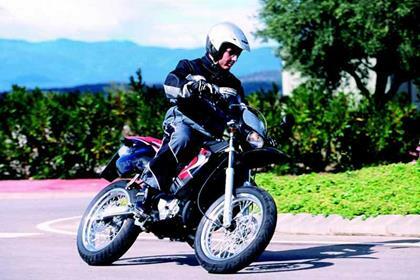 No owners have yet reviewed the RIEJU SMX125 (1997-on).